Healthcare Archives - Read. Think. Act. 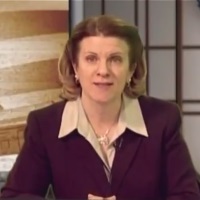 (March 6, 2019) Catherine Read interviews Darlene Williamson, founder of the Stroke Comeback Center. Their mission is to provide ongoing and personally meaningful programs within a peer-driven environment that is affordable for all stroke and brain trauma survivors, enabling them to achieve their maximum potential. Darlene Williamson is a speech and language pathologist whose career is focused on stroke recovery, specifically with patients who suffer from aphasia. Stroke is defined as an interruption of the blood supply to the brain for a significant period of time. Aphasia is the loss of language that happens when the language center of the brain is injured. Survivors who are plagued with this condition have full intelligence and the ability to think, however, the language center of brain keeps them from being able to communicate with those around them. There are approximately 2 million people nationwide who are living with the aphasia today, and there are very few programs that are specifically geared toward helping these patients with long-term recovery. Williamson was prompted to found the Stroke Comeback Center after her experience of working with patients in the hospital and rehabilitation setting. Since insurance only covers a short period of time as an in-patient, she would often need to say goodbye to them after their insurance coverage ran out. Her patients would inevitably ask “What’s Next?” and she never had a truly good answer, as there were not many places for them to go to continue on their recovery journey. The Stroke Comeback Center program is different from what patients experience in the hospital or rehabilitation settings. They offer classes and activities, facilitated by professionals, which allow individuals to work toward goals that they have chosen for themselves. Williamson explains that this approach allows the survivor to define what “living successfully” means to them, whether it be skyping with their grandchildren on a video call or being able to order their own Starbucks drink with a cashier. The classes encourage communication and give patients an opportunity to practice their skills and develop camaraderie with those who are in a similar situation. The flagship location of the Stroke Comeback Center is in Vienna, VA. The center has grown tremendously over the years, thanks to a combination of grants and individual donors. Classes are offered at an affordable rate, and financial assistance is available for those who need aid. The need in the community has been so great, that they opened a second location in Rockville. There are now efforts underway to expand into Loudon County via a partnership with the Community Foundation of Northern Virginia. The Stroke Comeback Center is the only community based non-profit that does this in the DC metro area, and they are working hard to serve the 1 in 250 people who are affected by aphasia. Looking toward the future, Williamson hopes to setup a virtual center so they can serve people in remote areas, or those who lack transportation to travel to their centers. This form of tele-rehabilitation would allow a patient to video call into a group therapy session, such as a conversation group or a book club. The Stroke Comeback Center strives to meet the needs of as many people as possible, but in order to do so they need funding. They are holding a fundraiser called The Benefit of Chocolate on March 28th at Columbia Country Club in Chevy Chase, MD. Eventually, Williamson would love to expand programming to include fitness and music therapy to round out their class offerings. Sponsor information and registration for this fun and unique event can be found on their website – she encourages anyone who is interested to attend. (Dec. 3, 2018) Catherine Read interviews several members of the Northern Virginia Family Service leadership team to talk about the wide array of services that they deliver to families throughout the region. For the past 95 years, NVFS has delivered support to the most vulnerable families in Northern Virginia. The organization was recently selected by Jeff and McKenzie Bezos to be a recipient of a $2.5 million grant from their Day 1 Families Fund to help end family homelessness in our region. 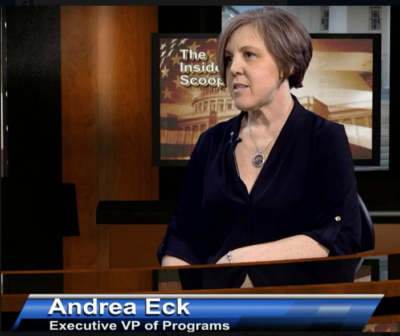 In the first segment, Catherine speaks with Andrea Eck, Executive Vice President of Programs at NVFS. Andrea points out that the programs offered to families range from workforce training to housing assistance to hunger relief to early childhood development and support. The unique thing about NVFS is that all of their programs are integrated with one another, and are designed to support the families they serve in a holistic manner, with the goal of moving the family toward self-sufficiency. Eck notes that NVFS works collaboratively with partners throughout the region to help deliver necessary services, so that resources can be used wisely and efforts are not duplicated. She is confident that their excellent track record is what led to the grant from the Day 1 Families Fund. 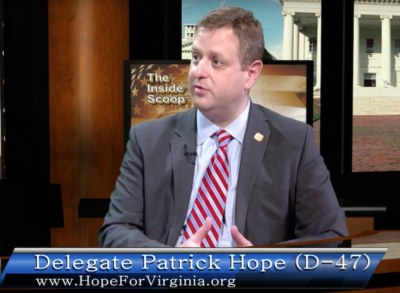 The grant money will be used to fight family homelessness in Northern Virginia. Specifically, they will be enhancing their housing locator service, improving their career navigation center, and enhancing the availability of mental health services in order to get people healthy so that they can support themselves and contribute to society. In the second segment Catherine talks to Meredith McKeen, Director of the Multi-Cultural Center and Youth Initiatives. On the multi-cultural center side, her job is to oversee the array of services designed to help people recover from exposure to trauma and violence. Her department utilizes case management to navigate the issues, and services are delivered in 7 different languages to meet the needs of the community. Many families have suffered trauma throughout the immigration process, and McKeen’s department is designed to assist families with immigration legal aid, as well as assist them in finding the support services that they need within the community. Under the youth umbrella, NVFS runs a gang prevention program to help keep kids safe and out of trouble. Additionally, for young people who have witnessed or been exposed to violence, her department is tasked with helping them find and access mental health services. Getting young people access to these critical programs is so important, because the sooner they can deal with the trauma that they have experienced, the sooner they can get back to school and be able to move their lives forward. Another important aspect of McKeen’s department is the family reunification program. Many times, immigrant families are separated from one another for many years, with some parents being separated from their children for up to a decade. Reunification is always the goal, but with it comes its own set of challenges. First off, parents and children need to get to know one another again. Additionally, the children may have endured an arduous journey to make it to America, and they may have residual trauma from their travels. This program is aimed to get ahead of these challenges and address issues up front in order to keep everyone safe. It has been shown to help avoid child abuse, future foster care placement and potential mental health problems down the road. It is an investment in the family today that can have a lasting impact into the future. Families are resilient, but they need the right tools in order to be healthy and happy. In the third segment of the show Catherine speaks with Julie Mullen, Director of Workforce Development about how NVFS is working toward customized career training for its clients. This new approach is aimed at helping their clients identify their goals, attain the necessary skills and ultimately find a sustainable wage job. The One on One Navigator program is one of the areas that will greatly benefit from the grant give by the Day 1 Families Fund. A job with sustainable wages is the best way to keep a family out of homelessness, so this program will be critical to meeting their goals. The One on One program will allow career counselors to help clients tap into their talents, then connect them with the partners in the community who can help them build the skills that they need to succeed. Money from the grant will be able to help pay for certifications or English classes, even assist with the costs of opening a new business like an in-home childcare center. The career navigators can assist with understanding the regulations and the paperwork needed to get a business started. Removing these barriers and hurdles are critical to helping clients move forward. This winter NVFS is launching their “Team Up” imitative in the hospitality, manufacturing and healthcare space. They will be co-locating in space with their business partners to help deliver services and make sure that workers have the tools that they need to be successful and productive. For example, now that Medicaid has expanded in Virginia, NVFS will have people available to help workers understand that they are eligible for benefits, and assist them in learning how to apply. In the final segment of the show, Catherine interviews Ondrea McIntyre-Hall, Director of Health Access and Nutrition Services at NVFS. Her department oversees the Hunger Resource Center, located in Prince William County. The center serves 600-700 families a month, and processes approximately 3.3 million pounds of food a year. There is a growing community of food insecure families in our region, and NVFS is looking at creative ways to help stem the tide of hunger by providing food support and nutrition services. Their resource center includes cooking classes and demonstrations, in order to teach families how to make the best use of the ingredients that they have access to. Additionally, there is no limit on the amount of fresh fruits and vegetables that families can take when visiting their facility. Thanks to generous donations from local farmers markets, grocery stores and the USDA the Hunger Resource Center receives a great deal of fresh, perishable food. Therefore, they partner with other smaller food pantries in the area so that the food can get better distributed in a timely manner. Many families cannot access the center in Prince William, so this gives the smaller, more local pantries an opportunity to get fresh fruit and vegetables distributed to their clients. Currently, NVFS is launching an exciting pilot program with Mason and Partners (through George Mason University) that will give clients a “prescription card” for certain fruits and vegetables that clients need to maintain their health. Clients will then be able to redeems these cards at participating vendors – food pantries, Farmer’s Markets, stores where the cards are accepted. This innovative approach to providing access to fresh fruits and vegetables recognizes that what we eat can greatly contribute to supporting a healthy lifestyle. (Sept. 12, 2018) Catherine Read sits down with Executive Director Lauren Cates of Healwell Massage Therapy. They are a nonprofit with the mission of providing exceptional and compassionate massage therapy in hospitals and other care settings to patients living with acute, chronic or terminal illness. Their therapists work in direct partnership with the medical teams in clinical settings to help decrease pain, manage symptoms and bring greater comfort to those living with advanced disease. Cates acknowledges that not all massage therapists are created equal. Those who are practicing the trade, come to the profession with varying degrees of training and experience. Additionally, the industry does not have a lot of standards by which to judge practitioners, and every state classifies and regulates the profession in a different manner. 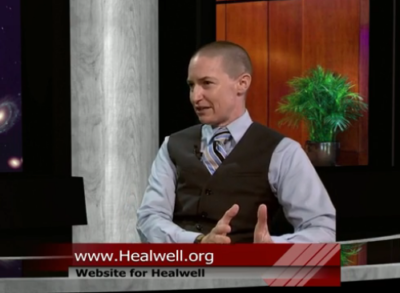 Healwell offers training to their therapists, so when they enter a clinical environment they are aware of the challenges that the patients are facing. At then end of the day, their goal is to provide a safe and effective massage, which eases pain, increases comfort and hopefully make the patient forget that they are suffering, even if it is only for the short hour that they spend together. Many studies have shown that there is a direct link between brain health and physical health, and the goal of Healwell massage therapists is to bring patients relief and freedom from their pain. Healwell works with three large hospital systems in the Washington, DC area – Medstar Georgetown, Children’s National and Virginia Hospital Center. Their therapists all undergo training through the Hospital Massage Therapy Stewardship Program, an intensive 9-day continuing education course run out of the Virginia Hospital Center. All of the students who come through this program experience a rotation in the hospital, working side by side with clinicians in three distinct patient units. The Healwell team also offers a variety of courses in Oncology Massage and other aspects of clinical practice throughout the United States. They provide basic and advanced courses, designed to serve practitioners at all levels. The instructor teams all work actively in an oncology setting, and deliver courses that can prepare therapists to support a broad spectrum of medically complex patients. Ultimately, Cates would like to recruit more therapists to train and work in the clinical settings here in the Washington metro area. They are in search of trained professionals looking to elevate themselves to a new level of caregiving. In addition to training therapists to deliver specifically adapted and supportive massage therapy to patients living with disease, Healwell partners with their partner organizations to demonstrate the hands on abilities of integrative therapies to measurably improve outcomes through clinically sound, replicable models. 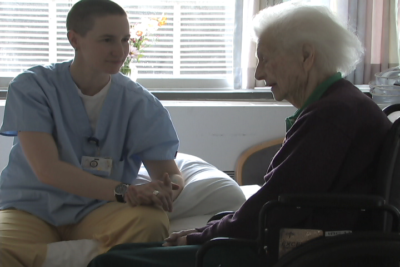 Their research measures the effect of massage therapy on patients during cancer treatments, as well as patients who are hospitalized for other life-limiting illnesses.